Successfully Added Wireless Home Surveillance Kit - 4 Camera + Receiver to your Shopping Cart. Wireless Home Surveillance Kit - 4 Cameras + Receiver. 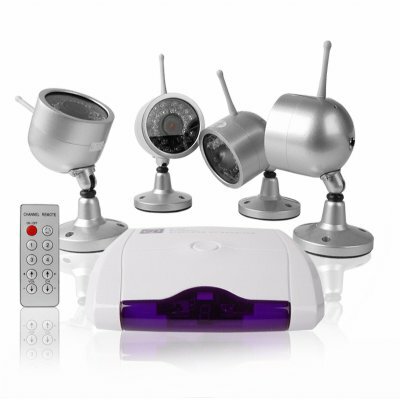 Home Surveillance Kit with 4 Wireless Transmitting Cameras + 1 Wireless Receiver - 2.4GHz locked frequency (NTSC). Finally, a HQ home surveillance kit at a wholesale price! With an open transmission distance can be up to 15 meters, the wireless receiver can also be used by infrared remote control and can plug into monitors with AV IN so you can view what is happening and record it if the receiver is attached to a DVR or similar recording device. This wholesale product applies to broad fields of surveillance and can have many uses to owners.